I’m officially ready to cast my vote for the world’s most annoying person. No one else even comes close. He is living proof that you can get rich by annoying people. (If you ask, he’d probably tell you there’s a government grant available for it, too). His voice is annoying. That idiot suit with all the question marks all over it is annoying. His mannerisms, his products, even his web site is annoying. As far as I’m concerned, Janet Jackson can do whatever she wants on TV. Just get rid of Matthew Lesko. I’d rather watch a marathon of Britney Spears videos and Homeboys in Outer Space reruns than be subjected to one of his infomercials. Ugh. I totally agree weith the author’s astute assessment of Matthew Lesko’s talent of purpetutual irritation. Additionally, Lesko is living proof that “We, the People” are getting raped in taxation by our own government. Think about this for second. *WHERE* does the money come from that Lesko claims is available? From the pockets of you and me!!! Government has no money of its own to give anyone. *WE* are paying for all this idiot giveaways. Instead of ordering Lesko’s imbecile material, contact your elected representatives, *DEMAND* that government spending and taxes be slashed – with a meat ax! If you don’t care about this sort of thing, then don’t blame others when or if you wind up broke. If you legitimately earned the money (or even inherited it – that’s legal, too), nobody else has the right to take it from you and give it to someone else without your permission. Such practice is known by another name – theft. I have the book of his and I have never gotten a dime of free money the book telles you where to apply but that is all and I was disappointed by this and then they offer other things that do not help. I am about to be evicted from my home and still cant get help to pay my bills and my children do without and it is hard to make ends meat here. So this book is worthless. I paied 59.95 for the book and still dont have any free money. Please God, make Matthew Lesko drop dead. Pretty please, with sugar on top! There are plenty of grants available from all levels of government, non-profit foundations and business. However, there must be demonstrated need and quaification. They are not easy to get! They are all highly competitive. All of these loans and grants ALL have performance goals and strings attached. And, their primary purpose to achieve a specific goal of the granting authority. 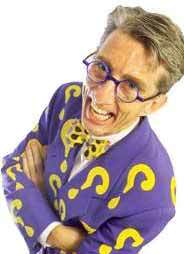 Admittedly, Matthew Lesko is an annoying personality. But, he fits in with the plethora of infomercial hosts that you find on late night television. Personally, I find all advertising intrusive and offensive. When I want to buy something, I will find it on my own.